It was love at first sight with this gorgeous little example. 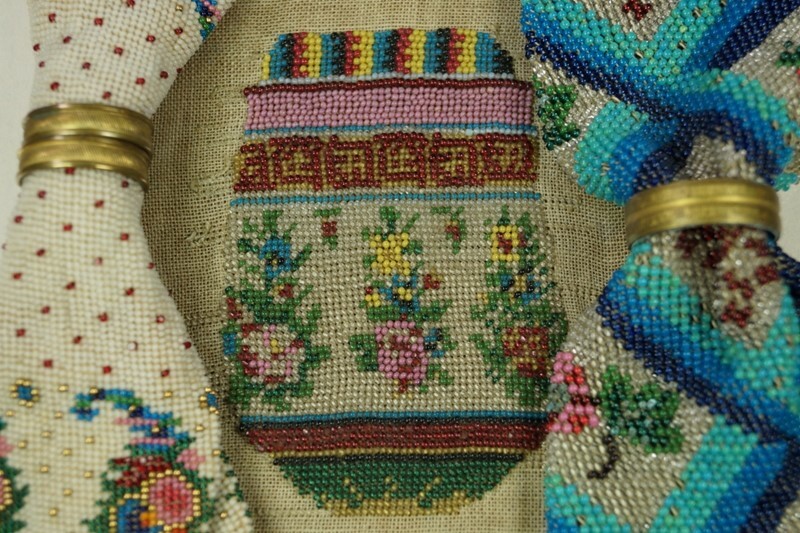 A very, very small micro beaded purse front from the 1820 period has been mounted and framed ready to hang and admire. Although just the front, this was clearly a labor of love that was never finished, yet cherished for nearly two centuries. Worked all by hand on a fine linen ground, the painstaking skill with very fine needles is to be truly admired. 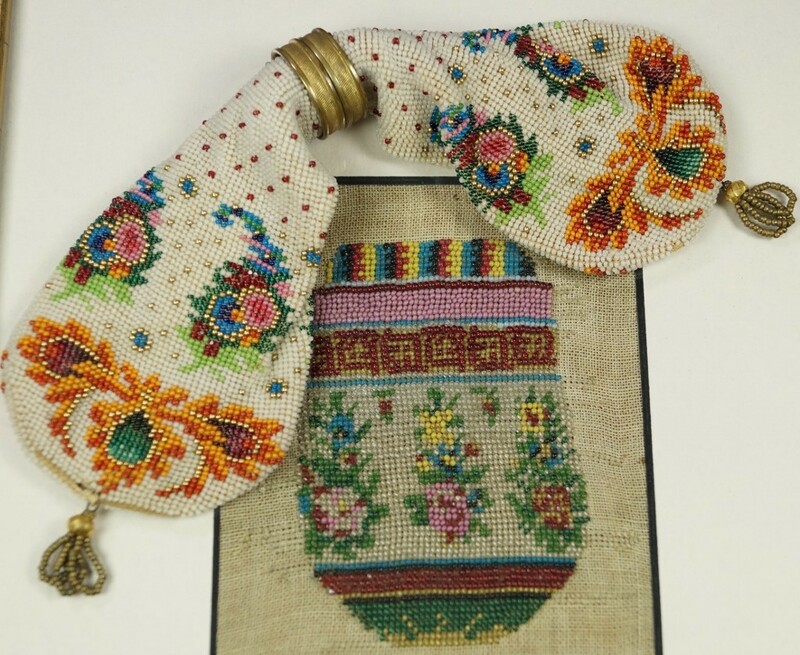 Of course purse making was a favorite pastime during the early 19th century. Framed in a modern antique effect frame with cream mat and behind glass. This is the perfect item for a Regency era lover, textile collector or a costume enthusiast. Size: Frame 9.5" by 8.5". Actual aperture 4 1/8" by 3 1/8". Actual purse size a teeny 3" by 2 1/8"
Condition: Very minor wear to the frame. Ready to display and marvel at.